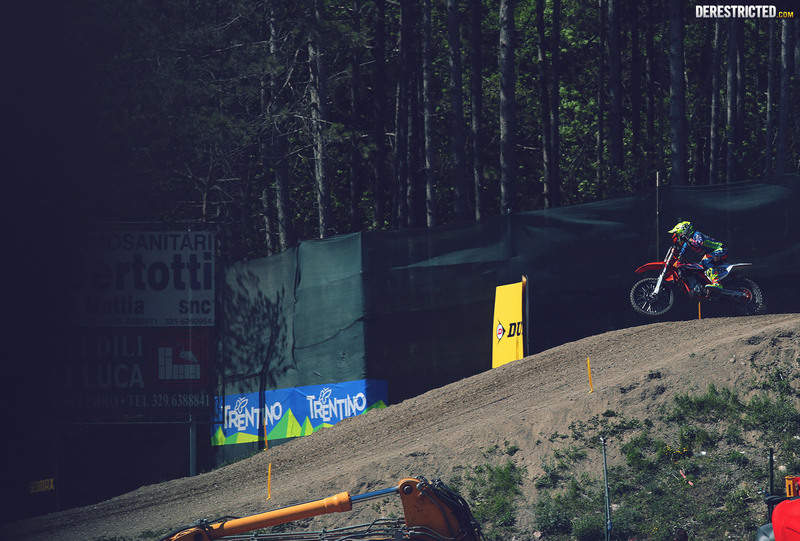 It’s always such a buzz going to watch a motocross race live, and live races don’t get much better than at the epic Arco Di Trento MXGP in Italy! 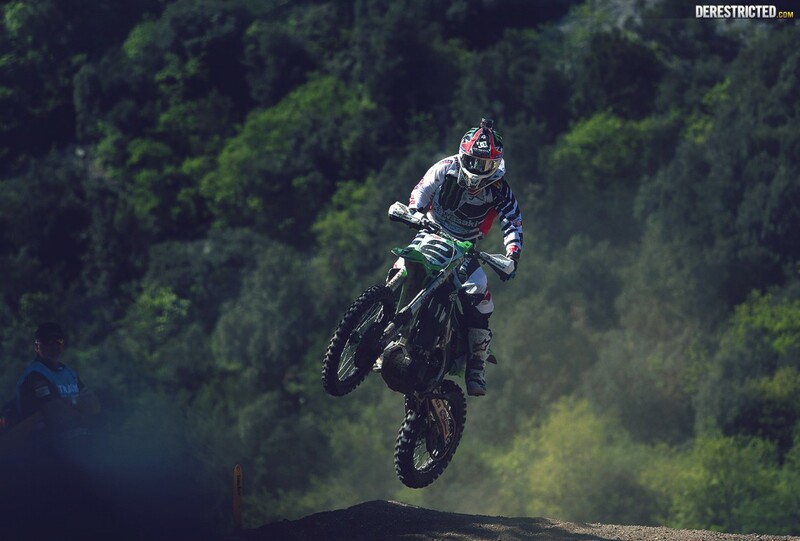 Especially when you get to watch Ryan Villopoto battle for one and a half races with Antonio Cairoli, Nagl and Clement DeSalle! Absolutely brilliant racing, and great to catch up with a load of people I have known for a while, and others I met for the first time this weekend. Some of the photos turned out pretty good too, check them out below. 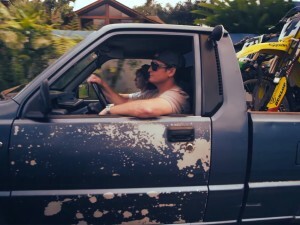 The track was so ridiculously gnarly! Claiming his third overall victory of the season, Husqvarna Motorcycles’ Max Nagl delivered the winning result at the MXGP of Trentino in Italy. 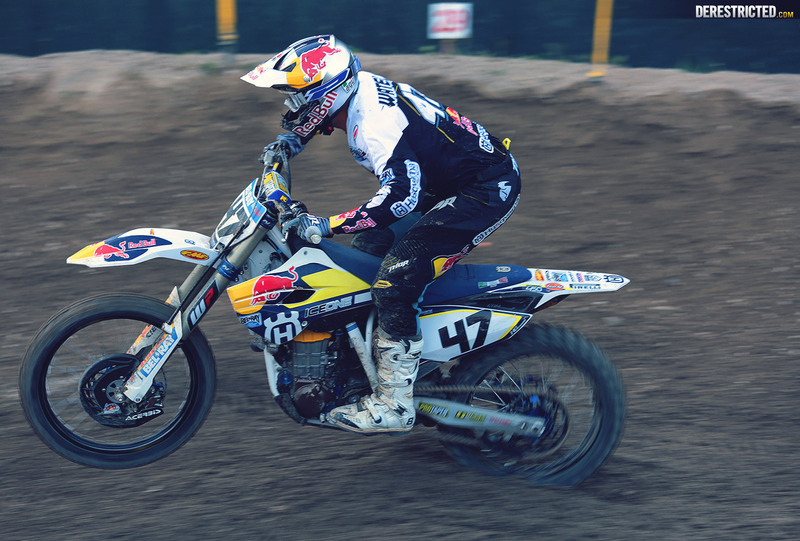 In what was one of the championship’s most exciting rounds in recent times, Red Bull IceOne Husqvarna Factory Racing’s Nagl fended off his championship rivals in the final race of the day, on one of the season’s roughest and demanding tracks, to secure victory and claim the top step of the podium. Riding on the best form of his career, Nagl arrived to the MXGP of Trentino determined to build on his overall victory last time out in Argentina. 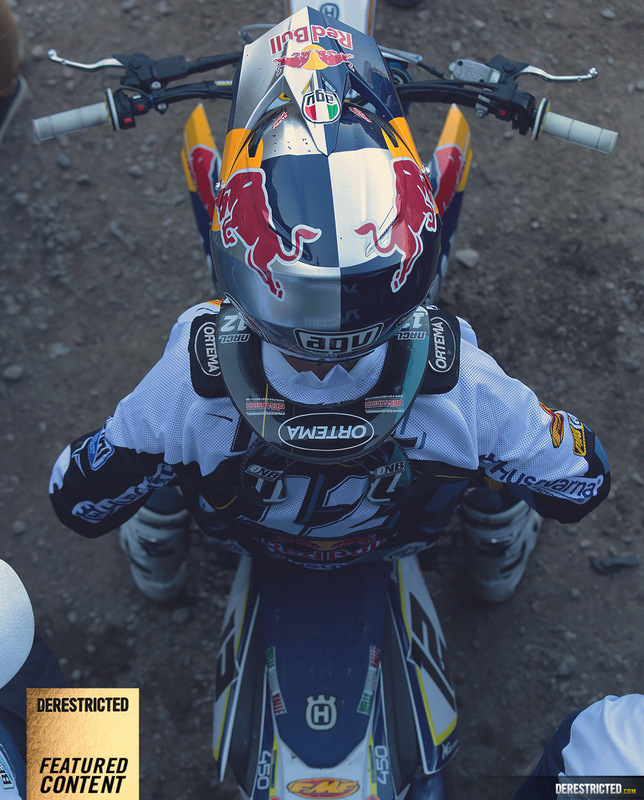 With the hilly Italian circuit proving extremely tricky, the Husqvarna rider was involved in one of the most exciting races seen for some time in race one. 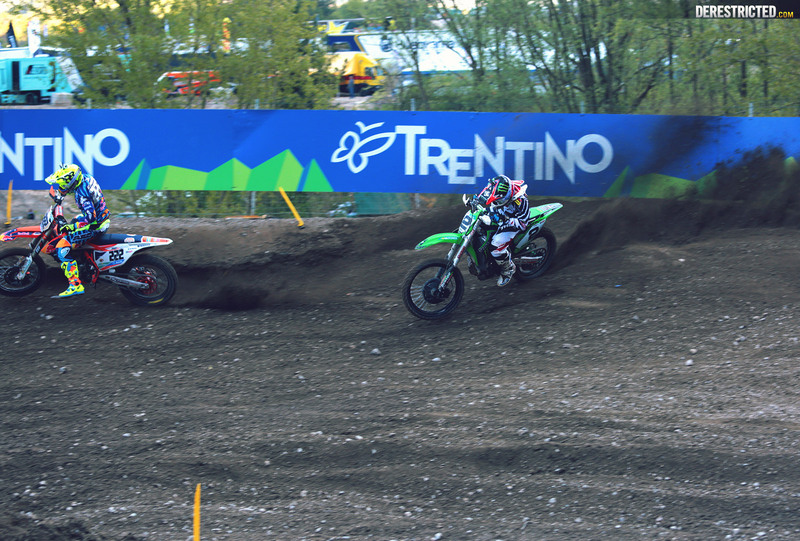 Enjoying a race long battle with Antonio Cairoli, Nagl was just unable to find a way past the Italian and had to settle for second. 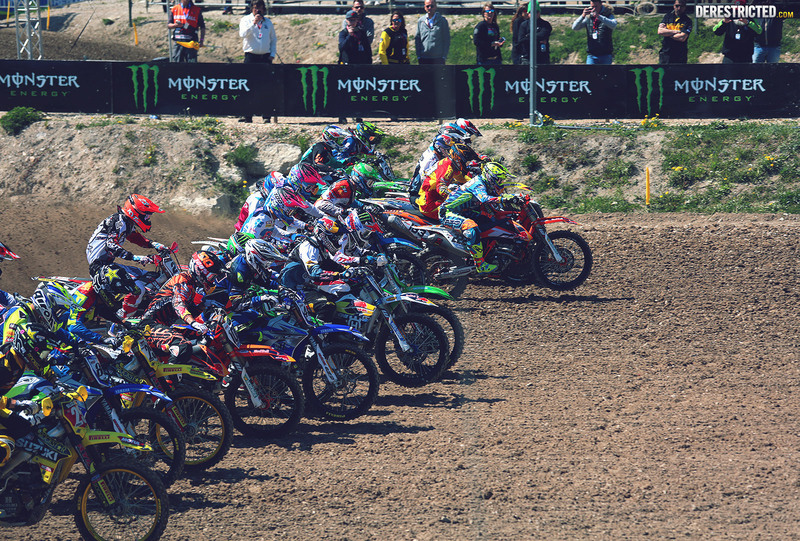 Knowing a good start was crucial for success, the German grabbed the holeshot in race two and never looked back. 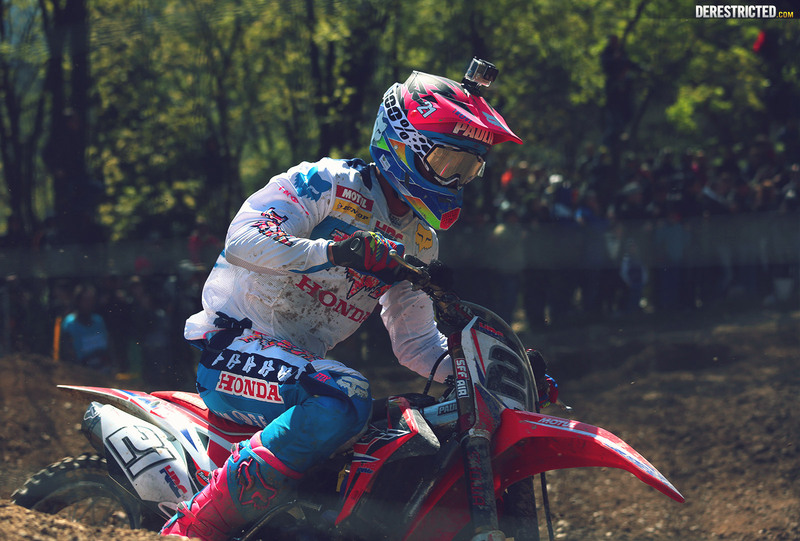 With a clear track to play on, he set the fastest lap of the race on lap one before steadily pulling clear of the chasing pack to take a comfortable nine-second margin of victory. 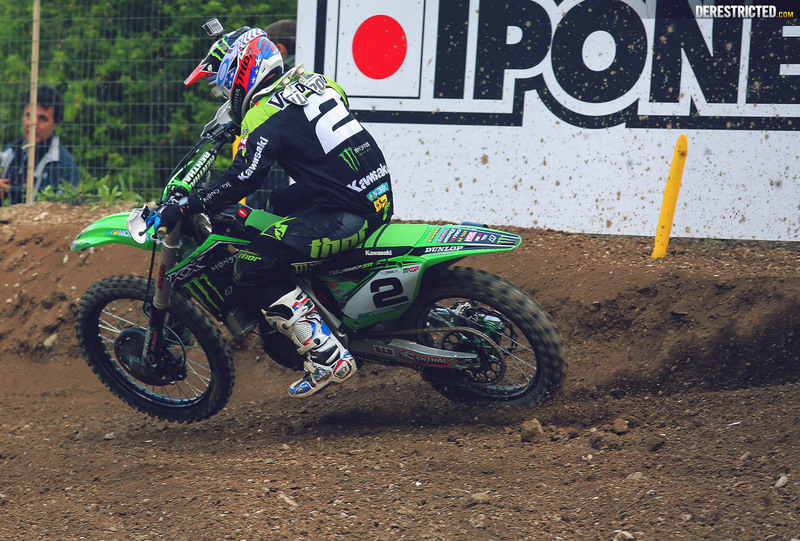 The race win ensured Nagl claimed his third overall victory of the 2015 MXGP season while moving up to second in the championship and just one-point behind leader Clement Desalle. 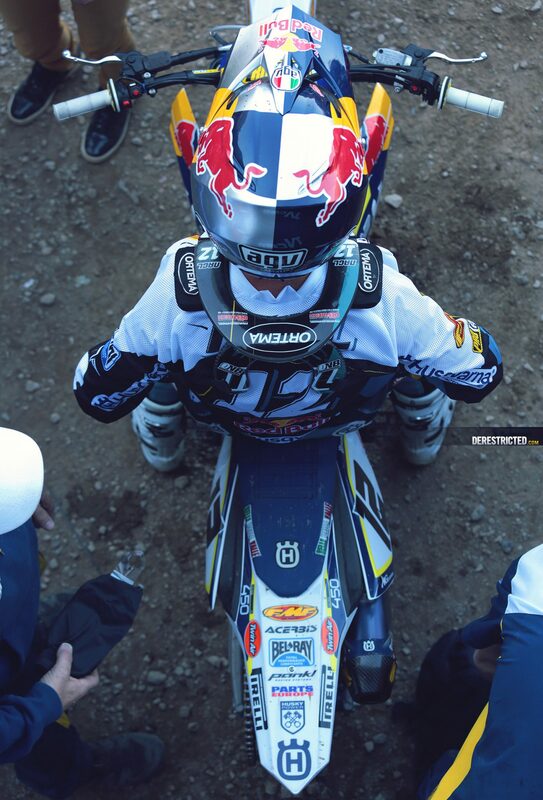 For Nagl’s teammate Todd Waters, the MXGP of Trentino was a difficult one. 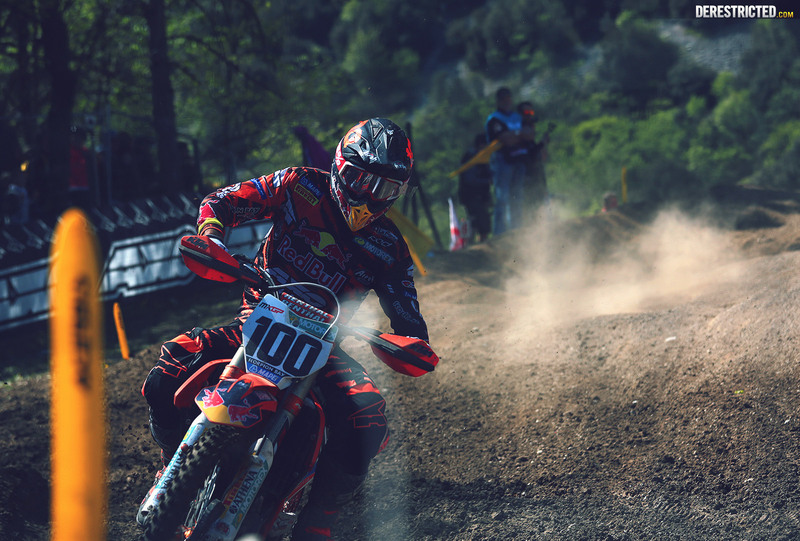 Finding the unforgiving terrain hard to adjust to, the Australian placed 15th in race one before improving to 11th in race two. 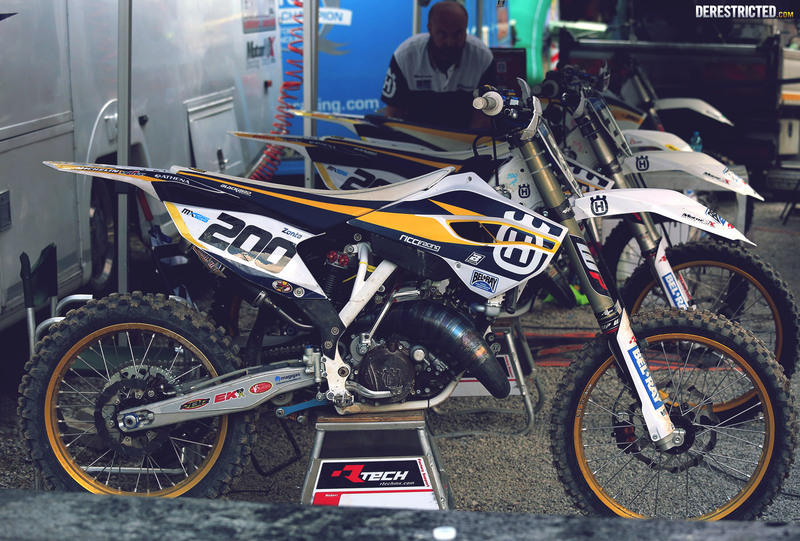 Wilvo Nestaan Husqvarna Factory Racing’s Dean Ferris didn’t enjoy the best of luck in Italy despite producing some strong rides. Eighteenth in race one, Ferris crashed off the start in race two but fought his way back from 31st to 17th. 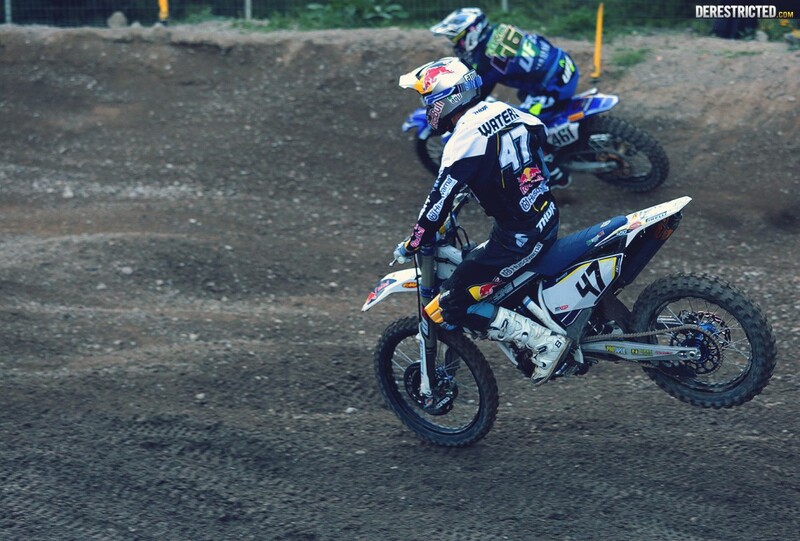 For Wilvo Nestaan Husqvarna Factory Racing’s Aleksandr Tonkov bad luck prevented him from delivering the results he hoped for on his FC 250 factory racing Husqvarna. A bad start in race one left him boxed out as the pack rounded the first corner. 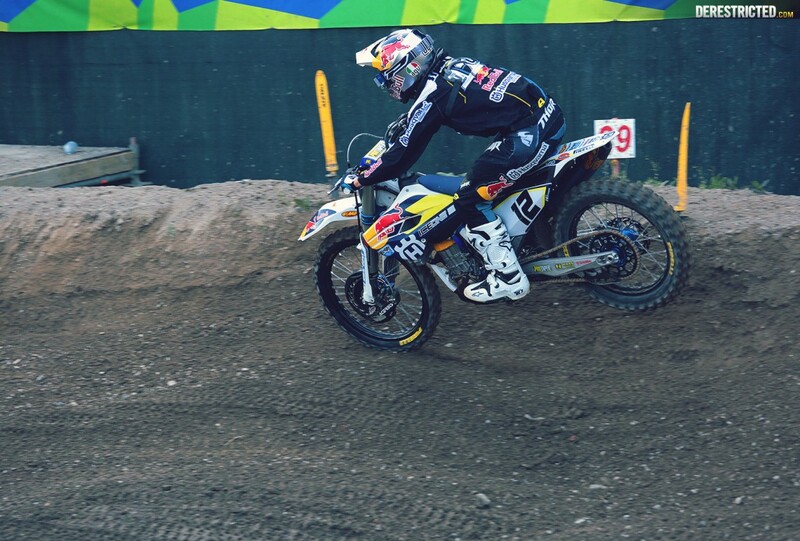 Pushed back to about 15th, Tonkov did well to battle his way back to eighth on the predominately one-lined course. Second fastest out of the gate for race two, Tonkov faired much better as he held a top three position for the first five laps. 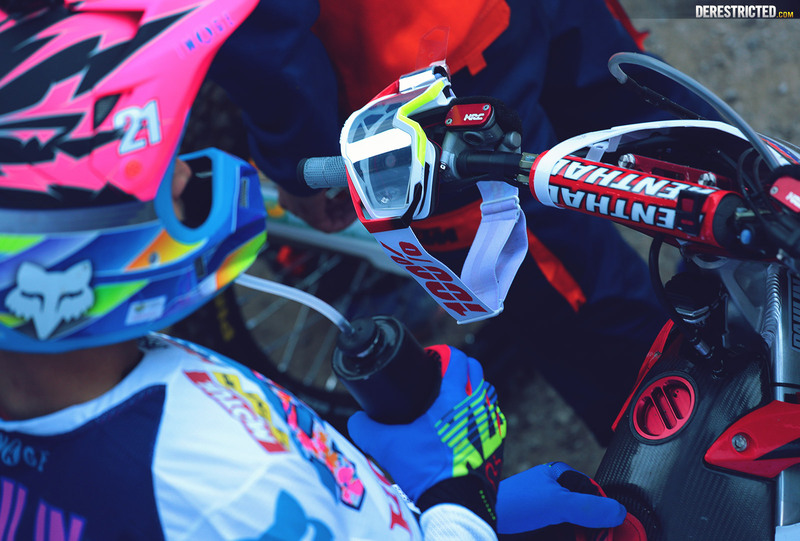 But an unfortunate technical issue put an end to his race and thoughts of a possible top three result. 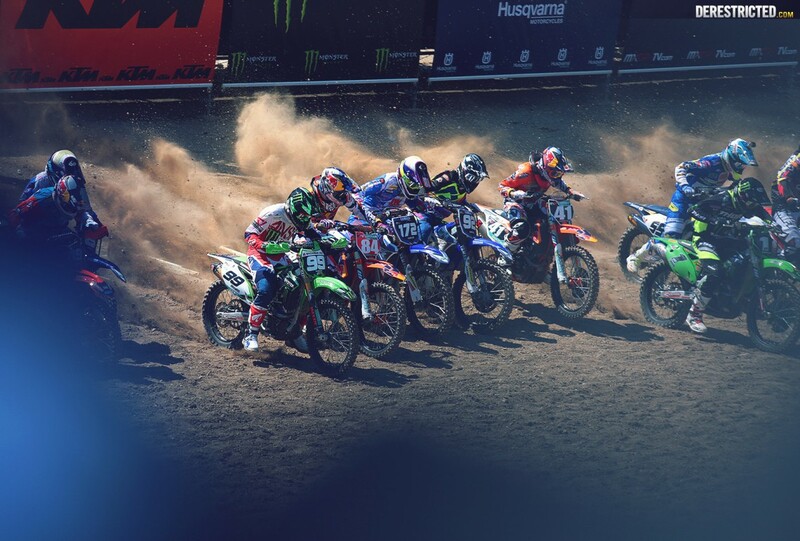 The FIM Motocross World Championship continues with the MXGP of Europe in Valkenswaard on April 26. 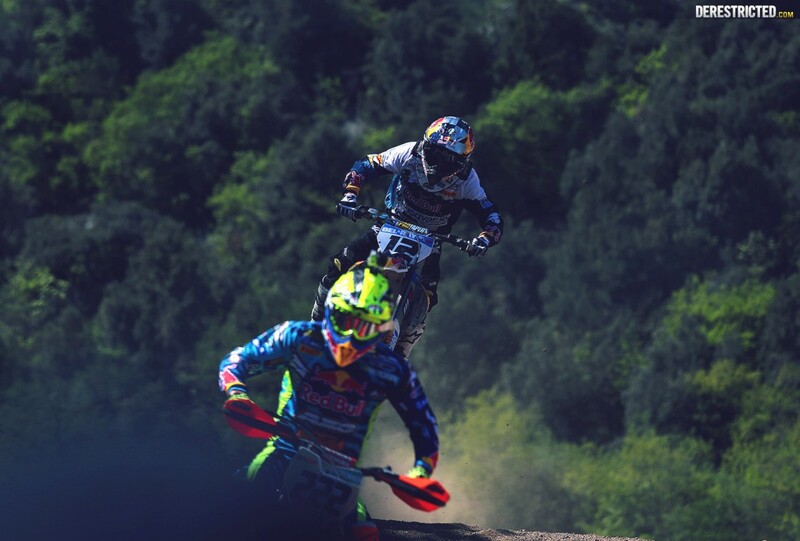 Red Bull KTM factory riders Antonio Cairoli and Jeffrey Herlings both delivered gutsy rides in their respective MXGP and MX2 GPs on Sunday at Pietramurata Italy to come away with two podium seconds. 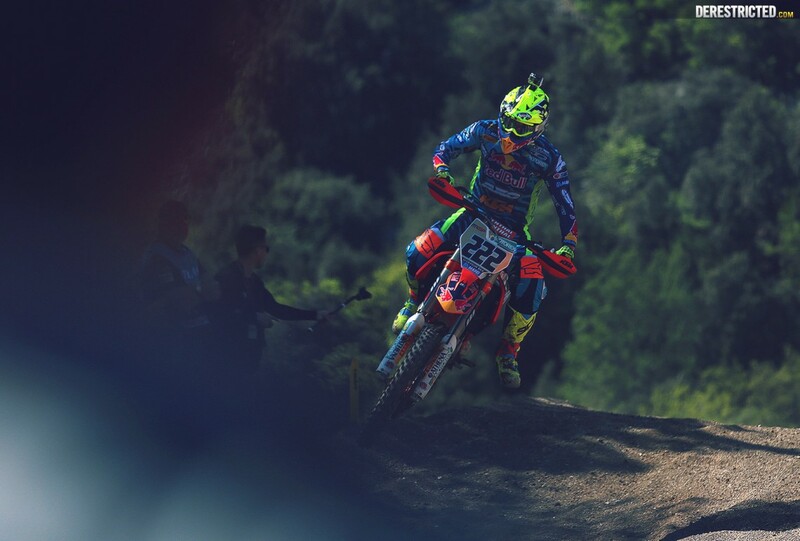 Cairoli finished with equal points to GP winner Max Nagl but took second place by virtue of his 1-2 result, as against Nagl’s 2-1. After four rounds it is also clear that the 2015 MXGP Championship is developing into a highly competitive and thrilling series. Cairoli is now third on the points table, again with equal points to Nagl – each have 170 – while Clement Desalle continues to hold the red plate but only has a one-point lead. 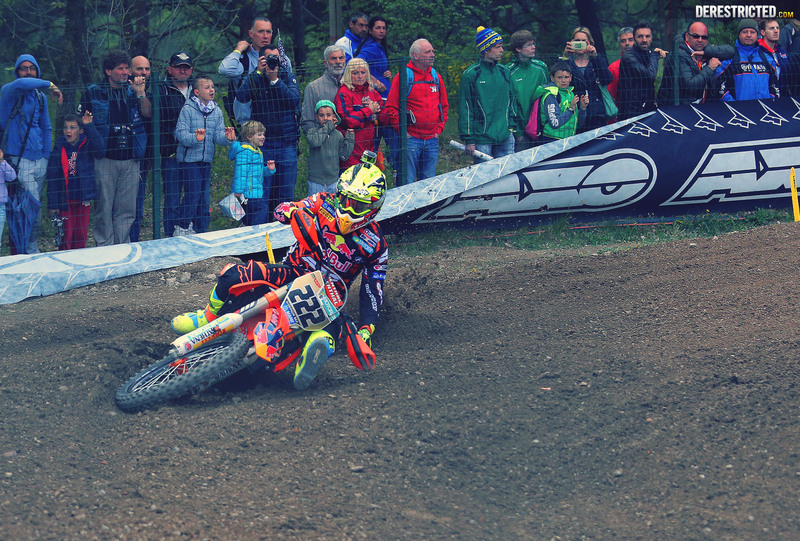 Cairoli got away cleanly in his opening moto. He grabbed the holeshot and rode in the lead all the way to the checkered flag. 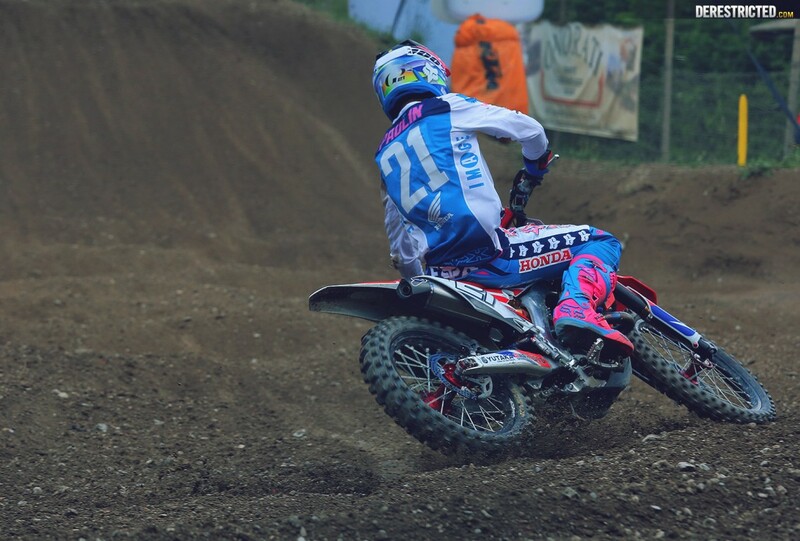 But Nagl and the American Ryan Villopoto were in his shadow. 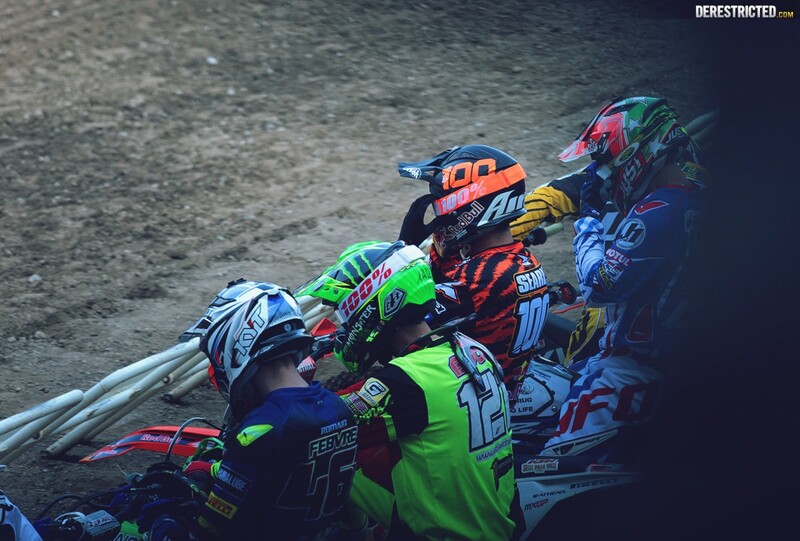 And with 10 minutes to go Desalle joined the lead group and it was clear it was anybody’s race. 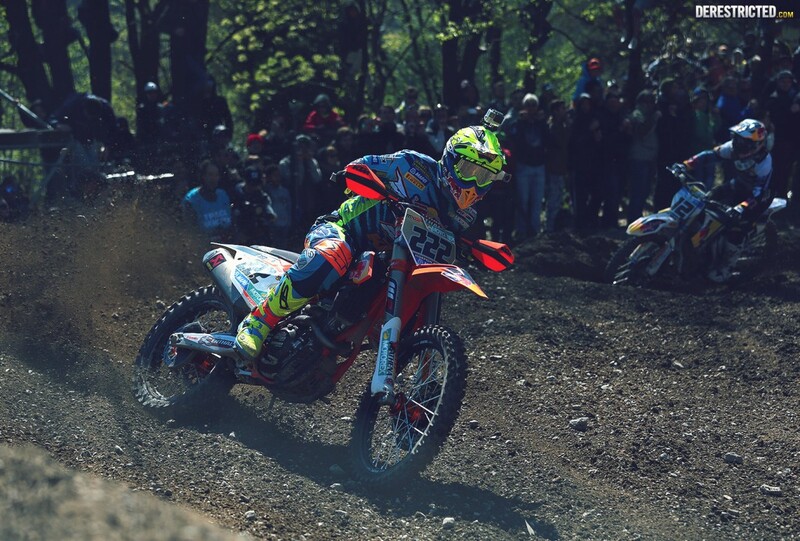 Cairoli fended off an attack by Nagl with three laps to go and then Desalle counter attacked and moved into second place. 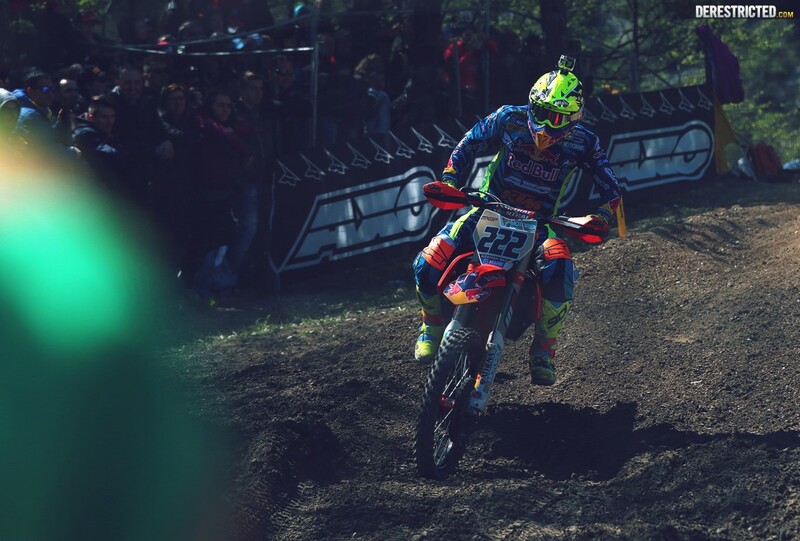 Cairoli held his ground and went on to take the win. 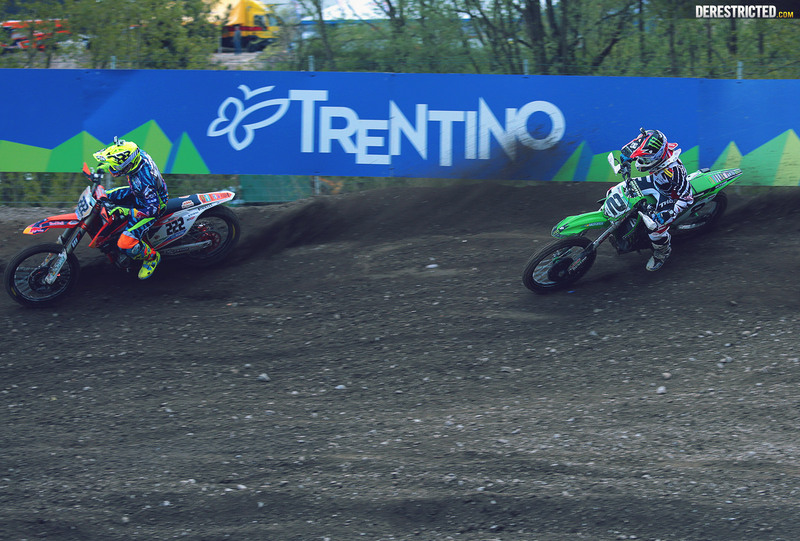 Cairoli did not get away as cleanly in the second moto and was never able to catch Nagl, but the competition was tight for the minor places between him, Villopoto and Desalle. By then the hard pack track was very gnarly after a big day of competition and the sun had gone down behind the Dolomites. 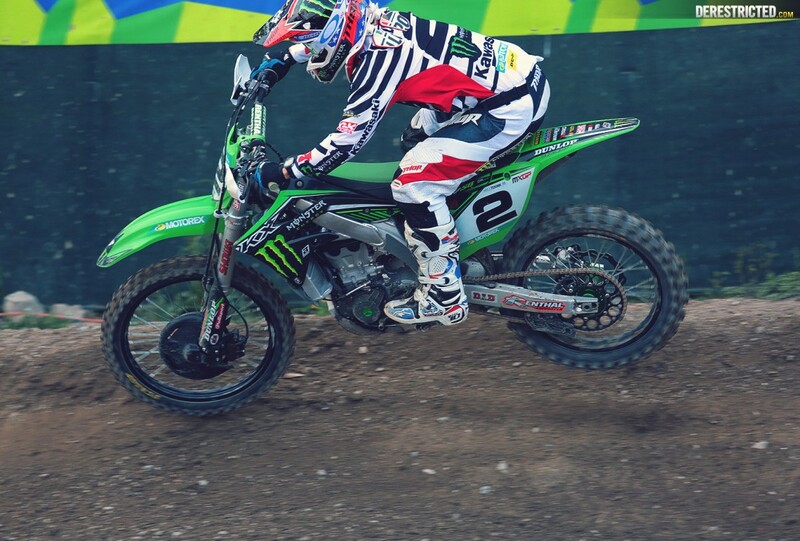 Then in quick succession Villopoto went out after a spectacular crash and Desalle also had difficulties, leaving the way open for Cairoli to take second. 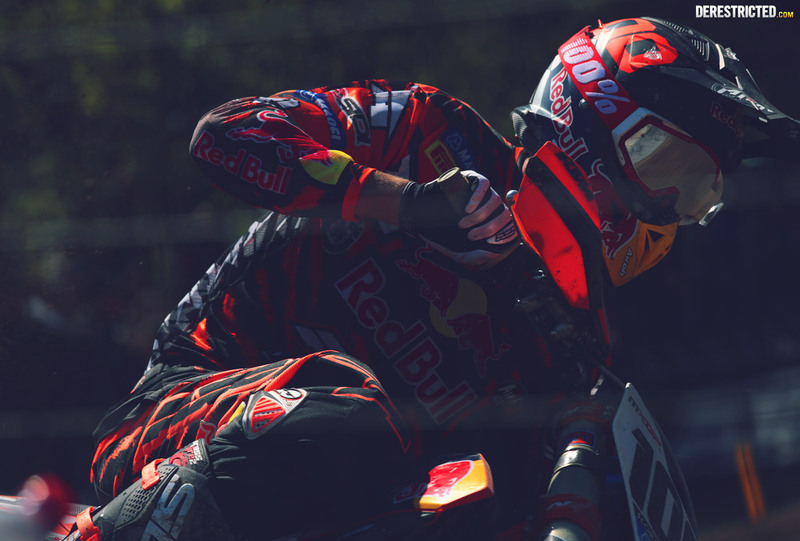 Cairoli’s teammate Ken de Dycker finished a respectable overall seventh and Tommy Searle, returning after a six-week injury break was overall thirteenth. 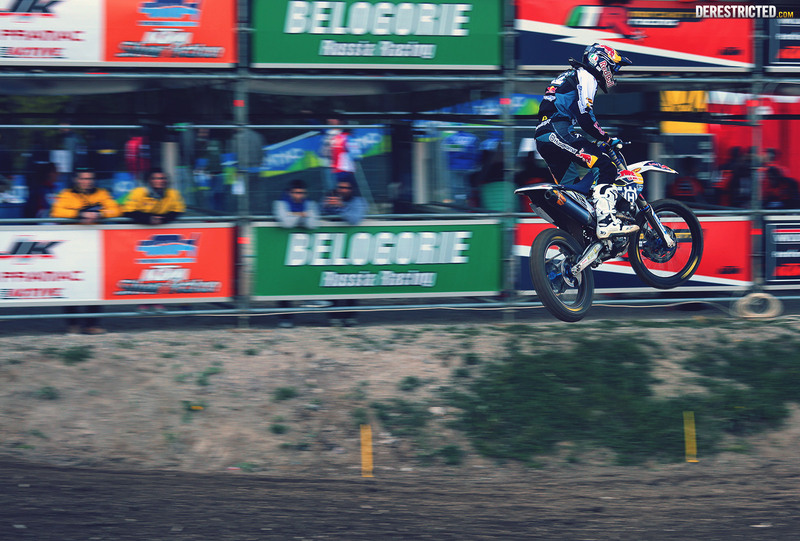 Earlier in the day Jeffrey Herlings rode a spectacular opening MX2 moto and crossed the line 15 seconds ahead of his nearest rival. 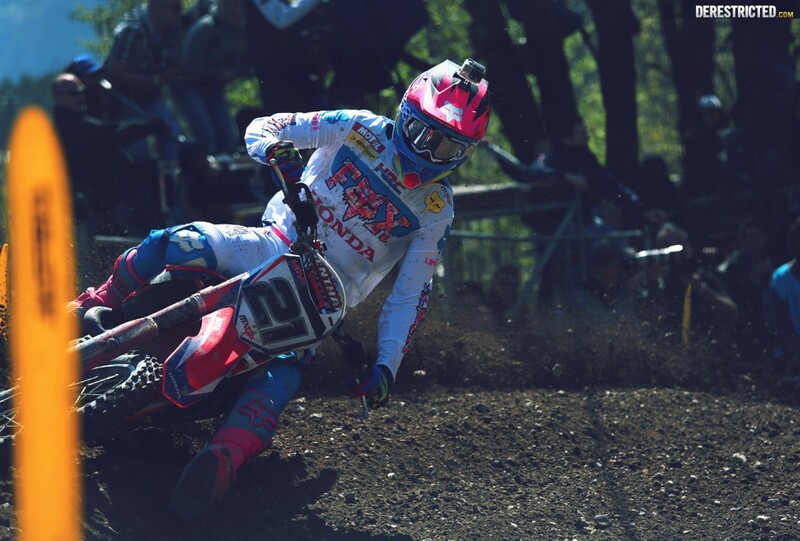 But he missed the start in his second race letting Slovenian Tim Gajser escape at the front. He was already in podium contention after a handful of laps and steadily trimmed the time deficit over the rest of the race. 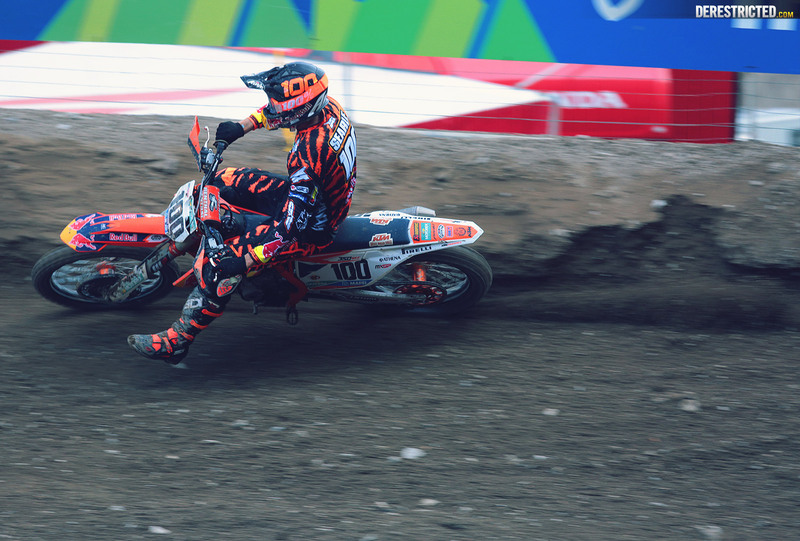 Herlings put himself in contention to make the pass in the final lap but cross-rutted in part of the course that was half shade and half sunlight. 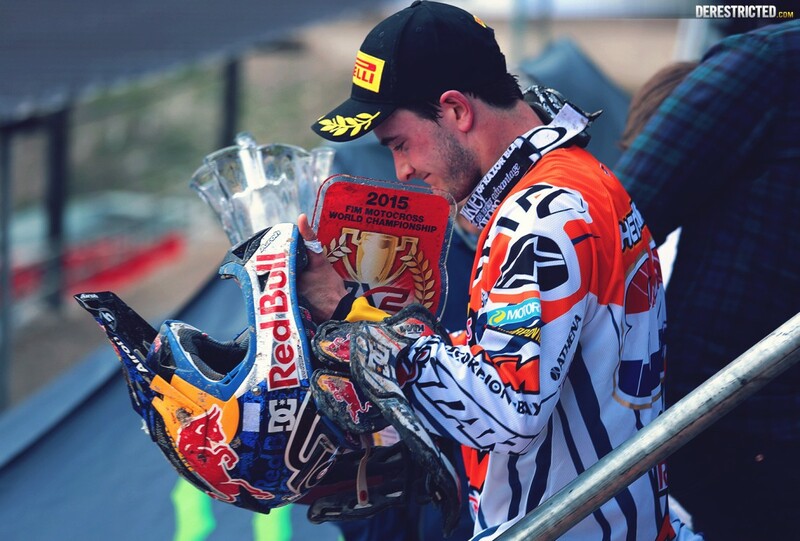 He scrambled back onto his KTM 250 SX-F and crossed the line in second. 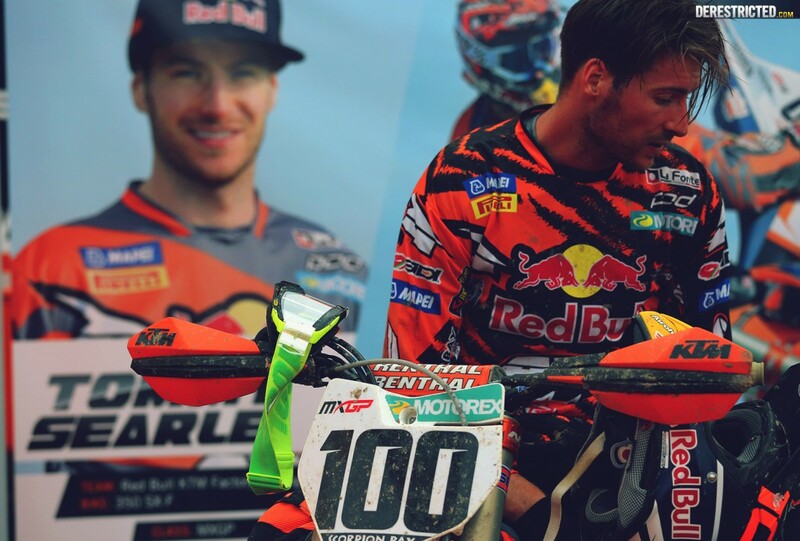 Herlings teammate Pauls Jonass finished eleventh overall and maintains third overall in the points. 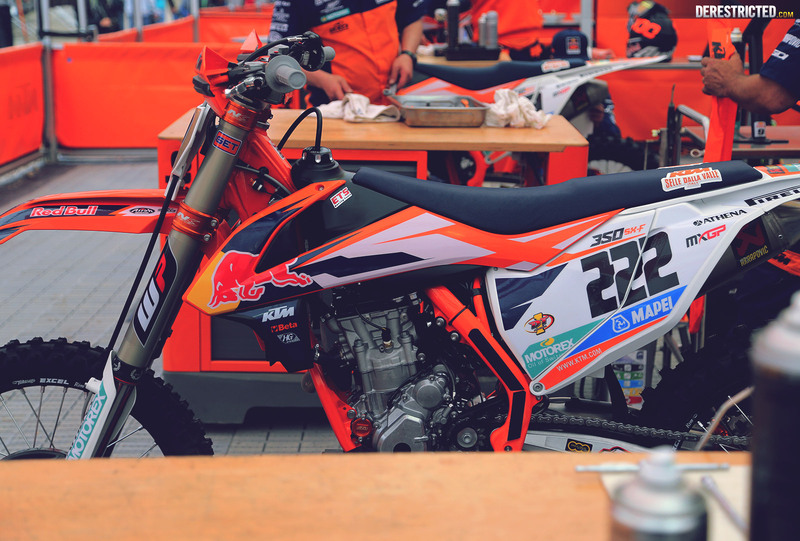 The three-rider KTM Factory Junior Team was out in force for the opening round of the EMX 125 class and Jorge Prado Garcia of Spain finished third in his first outing in the class. 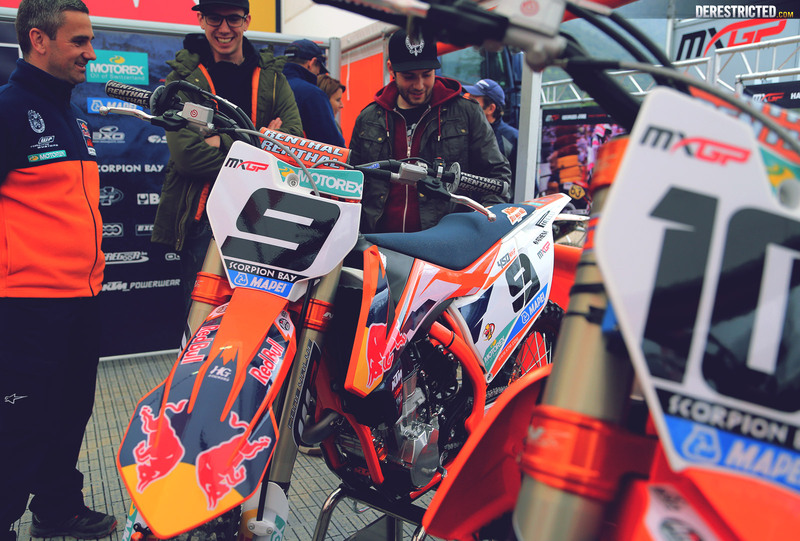 Josiah Natzke, newly arrived from New Zealand to join the Stefan Everts-managed team was a solid fifth overall in his first appearance and British rider Conrad Mewes finished eighth. 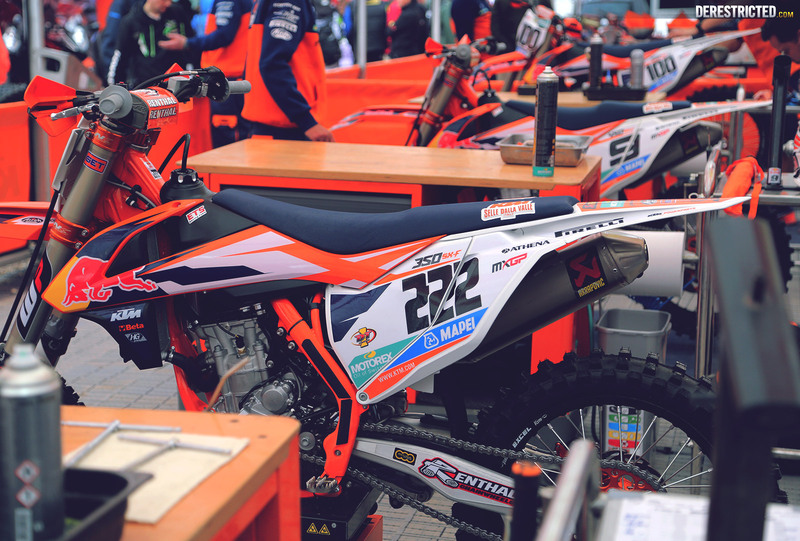 KTM rider Adam Sterry (GBR) finished with a podium third in the opening round of EMX 250, while KTm factory rider Davy Pootjes was ranked 12th. 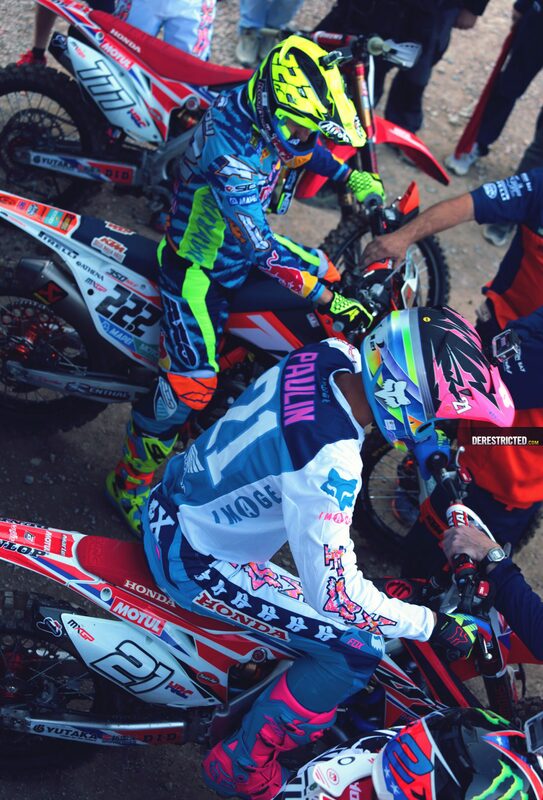 Next Round: Valkenswaard April 26.